You’ll find many ID camps across the country that focus on finding the best high school and club soccer players for college and university rosters. Each of them promise to provide great experiences and guarantee fast results for upcoming College freshmen. But with so many options, it’s hard to decide which one is the best for you. 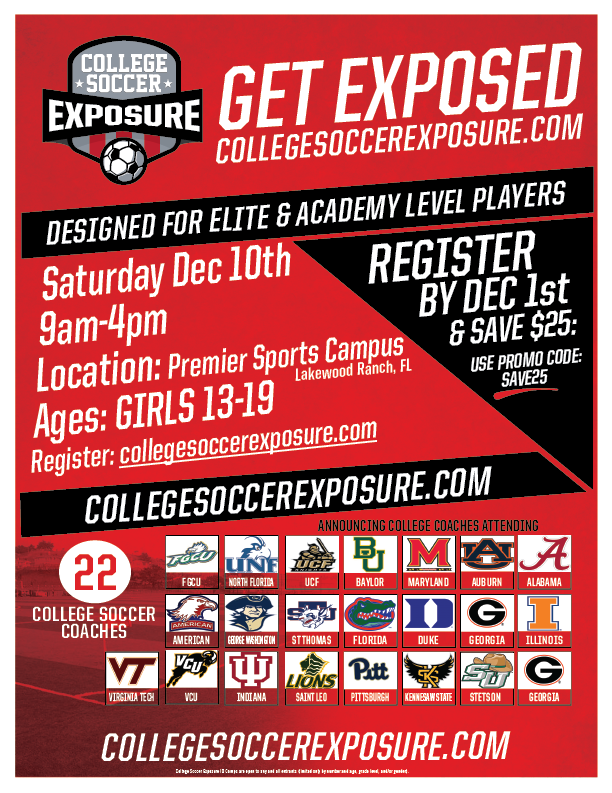 We encourage you to take a closer look at CollegeSoccerExposure.com led by Coach Charlie Campbell. That’s why today, this article will look at one promising ID Camp option to see if it is worth your time and money. But why is choosing the right camp so important? Parents of college athletes will tell you that helping athletic hopefuls find recruitment is a difficult process. You need more than just amazing highlight videos that show off your skills and perseverance. Athletes also have to demonstrate desired skills and traits on and off the field. High school level play doesn’t come close providing the intense experience and training that universities want. That’s why we recommend that if you or your child are serious about soccer that you take part in a summer camp experience. 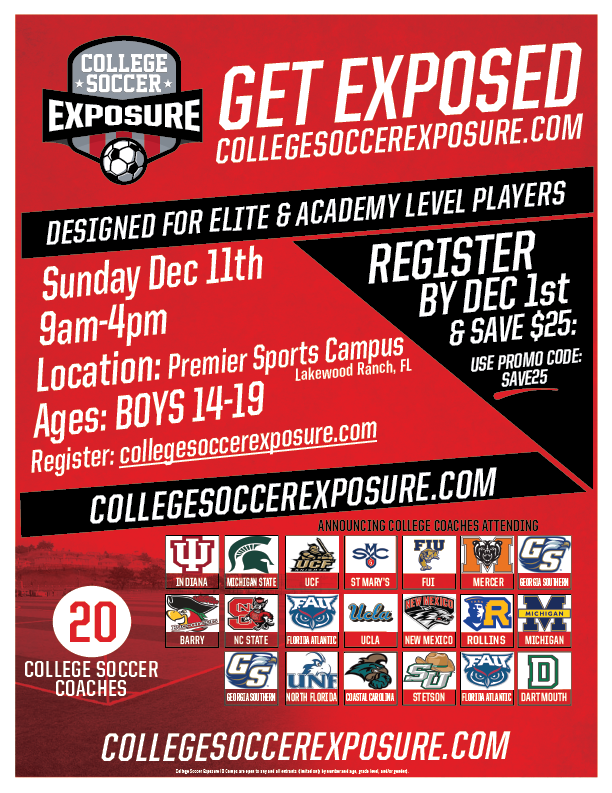 One of the most popular Soccer camps to date is College Soccer Exposure (Collegesoccerexposure.com). This organization boasts that it is #1 in finding results for students seeking recruitment in Division I NCAA teams. They offer camps for both boys and girls and promise better recruitment results from their participants. 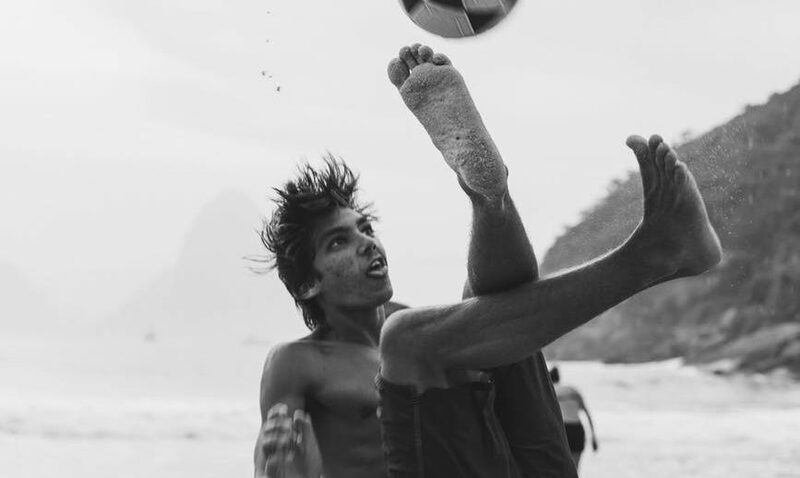 But is College Soccer Exposure really all that it promises to be? That’s what we’ll find out. But first, let’s talk about what this ID camp is all about. What do you do at a College Soccer Exposure Camp? 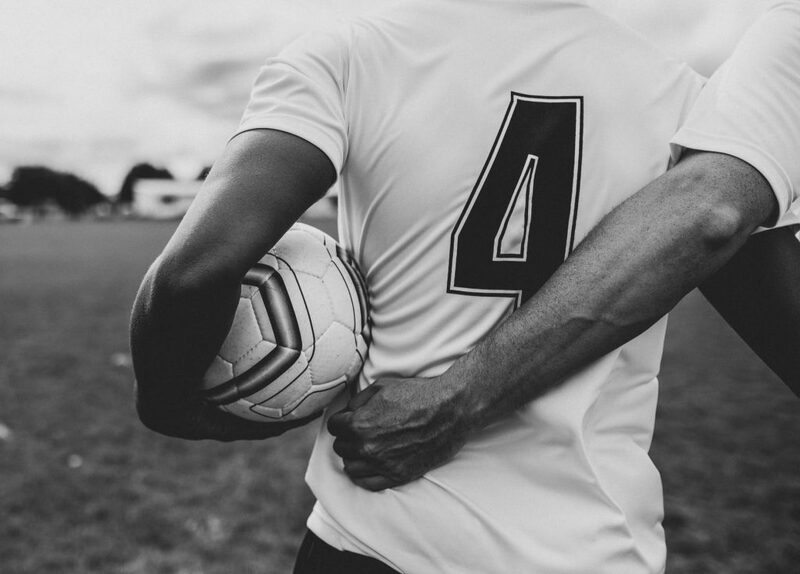 Like most recruitment ID camps, College Soccer Exposure focuses on giving intense college level experience to High School or Club Soccer players and helping coaches identify the student-athletes that will help fill out their roster. 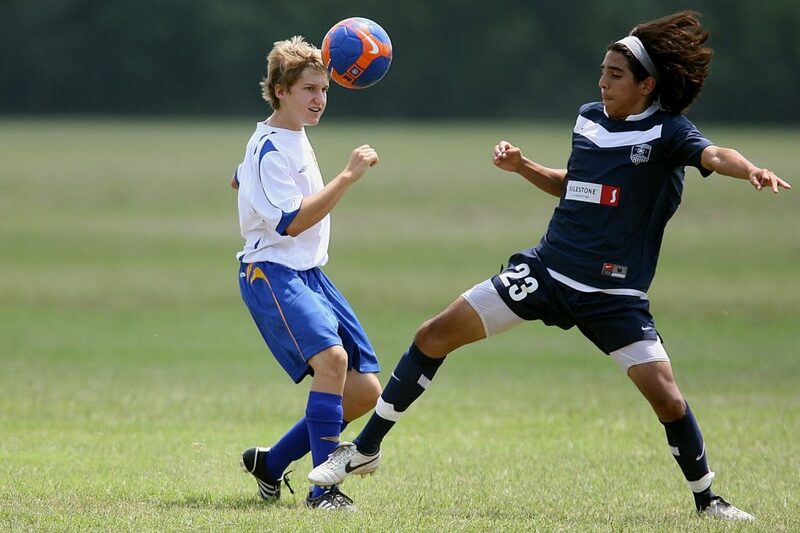 It admits students from age 14-19 for boys and 13-19 for girls soccer and offers a wide selection of services. These services include, college coach interaction, one-of-a-kind real-time identification, the ability to play your preferred positions, and NCAA Seminars. 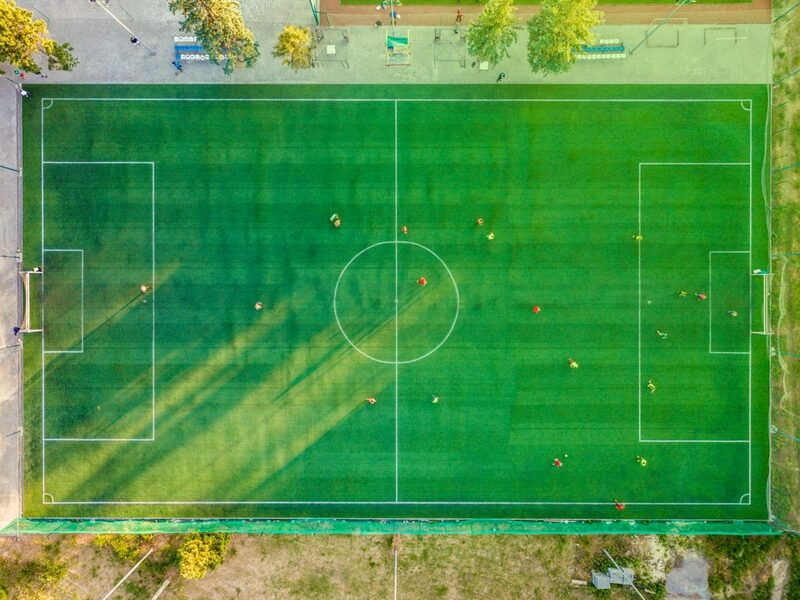 College Soccer Exposure focuses on offering their campers all the tools they need for successful transition from High School to Collegiate play. It also makes it easier for coaches to quickly spot talented players of note and get their stats at the press of a button. With over ten coaches and universities attending each session, it’s easy to see why this is a popular camp. But let’s go back and figure out exactly what these services do for students. Many students call, write, or email coaches from universities of interest to start building a rapport and getting their names out there. But there’s no better way to be remembered by a coach then by talking with them in person. Face to face interaction as well as direct observation gives coaches the real scoop about a player. That personal rapport can spell the difference between two players recruitment chances. But there’s another benefit that comes with having 1-on-1 time with team coaches. You can ask questions about their schools, teams, and rosters direct. You’ll also be able to get a feel for what you can expect from working with a particular coach on a more frequent and professional level. But how will the coaches know what to talk about when they meet you? That’s where the next item comes into play. As you play, practice, and show off your skills, coaches will be equipped with a special IPad app. 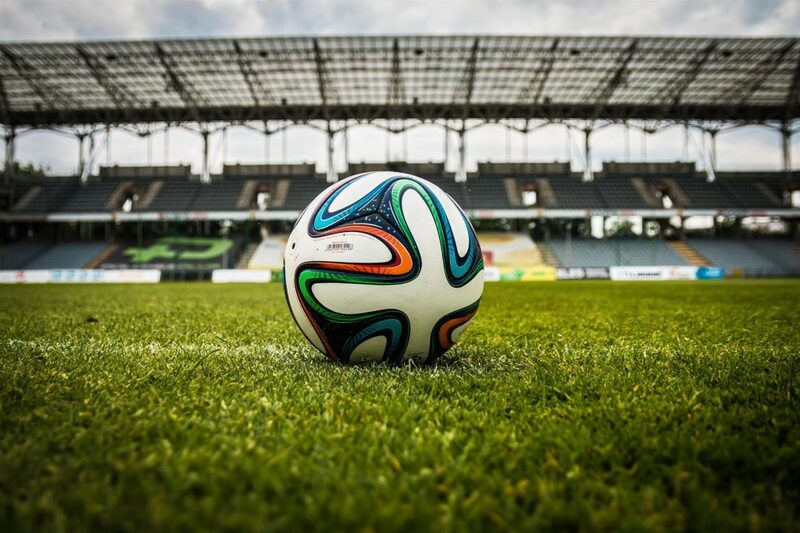 This app will give them information about you at the press of a button that will, not only help them identify players for the teams they need. It will also make the instruction and practice game sessions more useful. Imagine it, a coach being able to not only tell you about your history as gathered by College Soccer Exposure. It also helps pinpoint your strengths and weaknesses with real-time game data. This level of detail and analysis is great for coaches. They know their rosters and roster needs better than anyone else. The insights they share with you during your 1-on-1 sessions will also be invaluable with focusing your training and how you market yourself in the search for recruitments. Speaking of which, don’t you want to be able to show off your best skills? That’s why this ID camp has you covered. While there are key skills that every athlete has to master, every position requires specific skills that don’t always. ID camps focusing on general skills training are great for basic instruction, but at high-level play, you have to know and master your role. That’s why College Soccer Exposure promises that you will be able to play in one of your top two preferred positions. 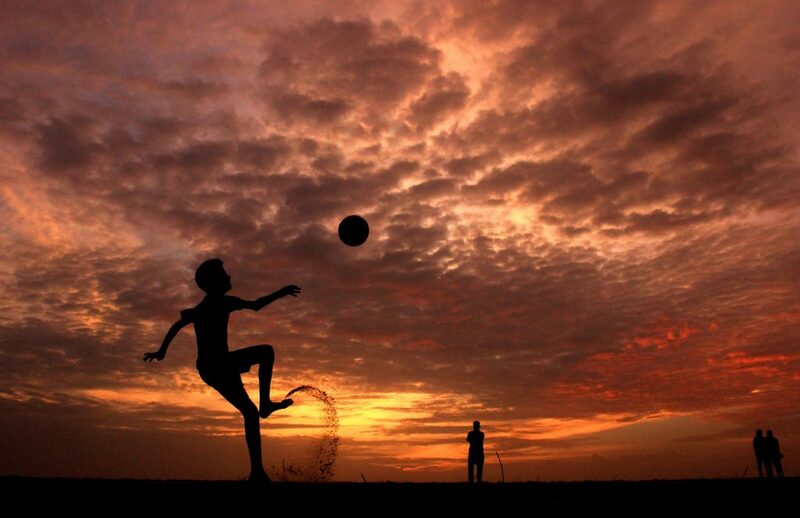 Are you a striker, a winger, a Midfielder, or any other position? Then don’t worry about being thrown off your A-Game. This camp will make sure you improve in your chosen and preferred positions. That’s why this camp has strict position limits to make sure this promise is kept. 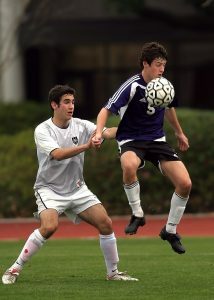 Even with all this, there’s so much to consider when you compare high school and club play to college soccer. That’s exactly why this camp makes sure to offer the following item. From the earliest stages of recruitment to signing on with your new home university, there’s a lot that’s required for finding recruitment success. There are also a lot of traits and achievements that NCAA division teams expect from players, especially at the Division I level. That’s why this ID camp offers NCAA seminars during the process that will teach you everything you need to know. But this camp does more than just restate information that’s already on the NCAA website. They explain, elaborate, and offer realistic expectations of what you need. 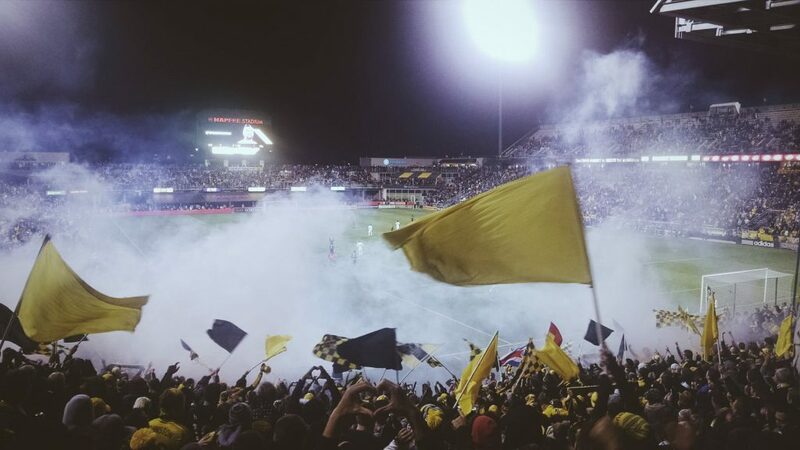 This frank and open discussion has led to College Soccer Exposure’s record of success. But let’s talk about cost for a moment and what you can and should expect. This camp currently offers four sessions during a year; two summer sessions and two winter sessions. 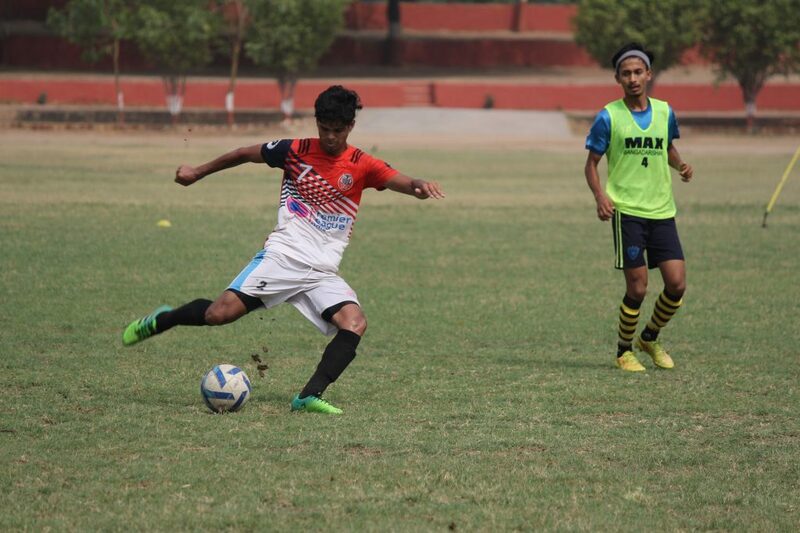 All four sessions have one ID camp for boys and one for girls respectively. The summer camps have already ended for this year, but they were in North and South California respectively and had a cost of $249.99 that earns you a full day experience that lasts from 9am to 4pm. 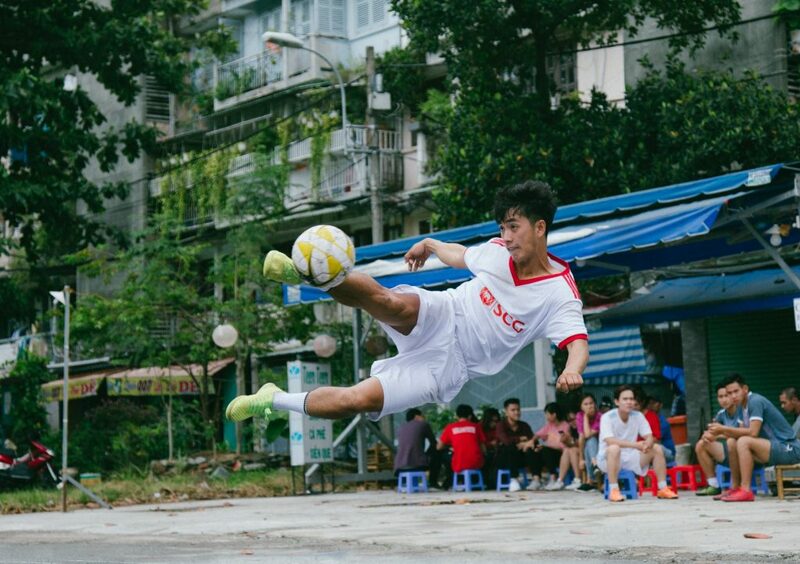 You will also be asked to provide lunch, indoor and outdoor soccer boots, shin guards, practice gear for rain & shiune, a soccer ball, sun block, and a water bottle. If you are coming in from out of the city or out of state, you should factor in travel/hotel costs into your cost estimates as well. This price earns you the above mentioned benefits but does everything they can to make sure your investment is made in confidence. You can preview the coaches and universities who will be in attendance on the ordering page before you come anywhere near the ordering buttons. The site assures that cancellations are rare, but when they happen, the camp will do what they can to find replacements from the same school before filling in the slots from other universities. You might be wondering about the Winter Sessions. We have that information for you below. What do you know about the winter sessions? Each advertisement also lists the coaches and colleges that will be in attendance with both offering 20 coaches at the time of writing. This is a great way to meet up with your favorite teams. But this is no surprise since this ID camp has a history of offering access to great teams and coaches. Let’s take a look back at the spring session and see what we mean. We’ve compiled the information for the 2019 spring season below so you can see what you can expect. You’ll notice that a lot of these universities are Division I NCAA participants, which may be part of why they can make the claim of being #1 in Division 1 recruitments among all ID Camps. The following lists are for the NorCal and SoCal camps for boys and girls respectively. Lists will be given in alphabetical order. Now that we know who participates in the camp and what you can expect. Let’s talk a little bit about the organizers and learn about their experience. So who organizes this camp anyway? It’s certainly true that all the visiting coaches and the on-site staff make this ID camp one of the best in the country. But at the top of every organization is one person with a dream that made it all happen. For College Soccer Exposure, that person is none other than Charlie Campbell. 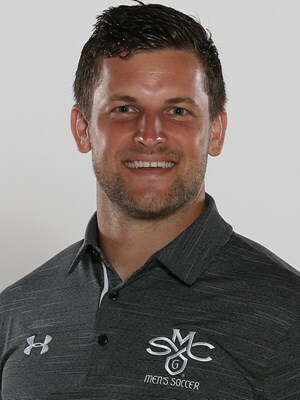 Charlie Campbell is in his fourth season as an assistant men’s soccer coach for Saint Mary’s College as of 2018. This comes after serving two years on the coaching staff with the University of Louisville. His career shows a successful time with both Virginia Tech and Louisville where he has made two NCAA Semifinals appearances as well as an appearance at a season finals. In May of 2011, he had signed with the Orlando City Soccer Club. He then went on to help guide Orlando City to the 2011 USL Pro Championship. The following year he appeared in 20 of 24 league matches for regular season champions Orlando City as well as earning honors as a starting player for both U.S. Open Cup matches for Orlando City. He was awarded Clubman of the Year by manager Adrian Heath for scoring one goal and five assists. So it was an easy choice to draft him in the second round 35th overall. He then went on top spend three seasons as a professional soccer player that was cut short in 2013 when he suffered a career-ending knee injury. But that didn’t stop Campbell and his love of the sport, as he picked himself up and moved into coaching at Saint Mary’s College. 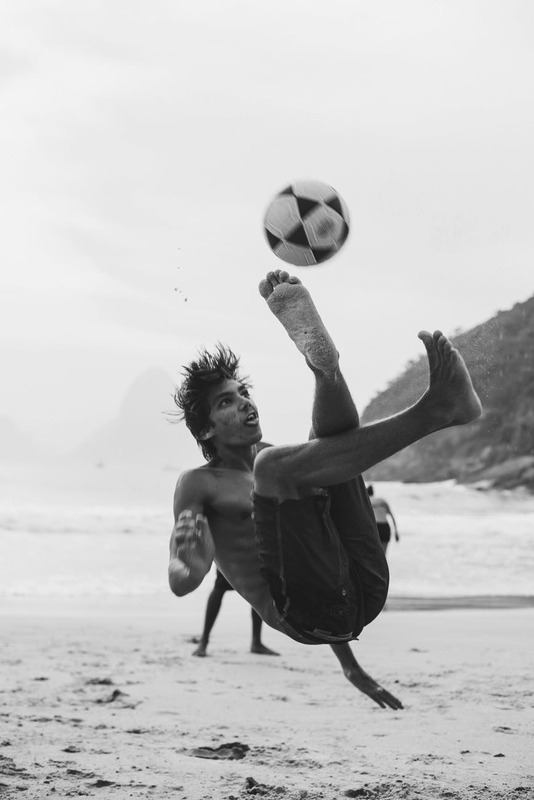 He would later become the chief organizer for the College Soccer Exposure camps adding onto the previous work he has had as shown in a video on his YouTube channel, video below. By now, you might be wondering how can this camp do all these big things on their own. Well, they don’t have to because they have entered partnerships with some important organizations. Read on to find out about one of their most exciting announcements. In 2016, College Soccer Exposure was proud to announce that they would be working with College Soccer Panels to provide college coach education panels for all of their camps. These panels offer experts in college soccer education programs to participants to best prepare them for recruitment as well as college life. This commitment to skills training that still recognizes the importance of education and grades, shows a commitment to the NCAA goal of student-athlete excellence that could only mark incredible ID Camps like this one. But let’s take a step back and talk about what this all means for student athletes as well as their families. Because it’s all well and good to make big claims of excellence, but do participants truly feel the same? For that we can look at their Facebook and Website data to get the real story. While Facebook likes and comments are not a true record of a service’s popularity, we can get a good idea of how well a service is received by the public with their rankings. Let’s look at two particular websites and see what we can learn. The Facebook page for this ID camp features the most up to date information you can find about their latest camps. The pictures regarding the winter session posted earlier came directly from this site. It appears to be the go-to way for Campbell and his staff to make sure you are up to date about what’s going on. At the time of talking, their Facebook page has dozens of likes and follows which is impressive considering how older camps have struggled for years before reaching this level of commitment. Many of the posts come with a stream of likes and fan approval, especially from parents who have signed on with this ID camps experience. But the website is where the real action should come, since it is their landing page for the service and platform. 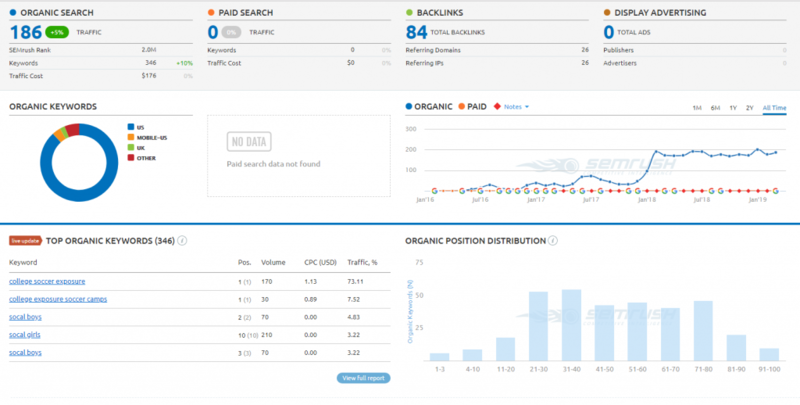 Semrush, a website analysis program that sees how websites compare to their direct competitors had several interesting things to say about this ID camps website. First, since the first data collection in January of 2016, the site has skyrocketed in organic links, going from a few organic visitors to over 200 as an average within a month. The association that this organization has with College Soccer Panels has also provided some increased traffic to their website as well, showing the overall good that ID camps like this provide for businesses and entities involved in soccer student enrichment. Altogether, while this website isn’t the biggest name on the block, it’s ramping up to become a real competitor on the ID Camps scene. So what can we gather from all this? With a spring and winter session available and a focus on education, skill training, and college preparedness, we can easily recommend College Summer Exposure ID Camps. This is a strong choice for anyone who is serious about college soccer. 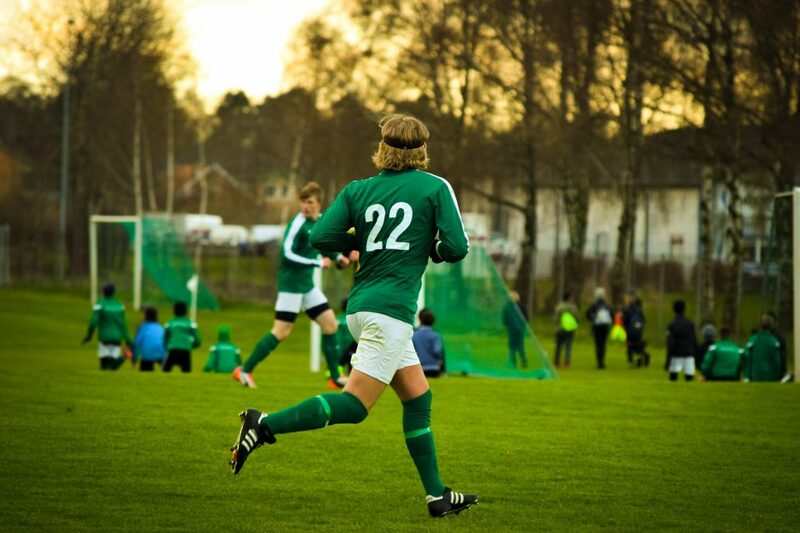 College Soccer Exposure stands out as one of the most promising ID camps for student-athletes. Find out more in this article.